For those who know little-to-nothing about solar water heating, this workshop is a non-technical description of system types, applications, theory, design, installations, and economics of solar water heating. 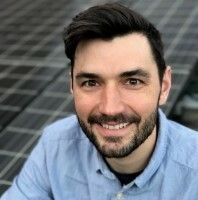 Benjamin Nusz has worked as an installer, site assessor, designer, and consultant for solar thermal systems. He is a NABCEP Certified Solar Heating Installer, and co-author of the book Solar Water Heating: A Comprehensive Guide to Solar Water and Space Heating Systems. Ben is currently the Renewable Thermal instructor at Mid-State Technical College in Wisconsin Rapids.